People’s desire to start fresh or to draw a line in the sand and step over the old and into the new has been around a long time. There’s nothing wrong with the desire to say this is my last year of illness, or I’m going to do whatever I value even better (my sport, school, job, art, passion). However, if it’s unrealistic, too much too soon, or tied to an increased level of stress then it’s an invitation not to make the mark and to continue to chisel away at our self-esteem. That’s often the case! We put unnecessary pressure, not only on ourselves but our body by shocking it into massive change. Let’s pause and reflect instead. Sometimes our New Year’s resolutions seem as ridiculous as tucking in a newborn baby on December 31st and asking the baby to walk when they wake up the next morning, despite their inability to even hold their head up independently, sit, or crawl. We would never put such an impossible task on someone we love. So why then would we do it to ourselves? It’s because we aren’t gentle enough with ourselves. We put too much pressure on ourselves. We don’t treat ourselves with enough compassion. In fact, sometimes we are just downright mean to ourselves. Let’s create awareness of how our goals are making us feel, I urge you to join me as I flip my approach. This coming year, let’s begin a new ritual to redefine our resolutions by getting clear about how we wanted to feel, instead of what we could accomplish. Make my resolutions gradual and sustainable. Small changes rather than unsustainable drastic changes. Remember that change is a process. Make it attainable, which is by far more helpful. Slow down! Make room for subtle shifts which increase my chances of success. Be careful not to add more angst than relief. Thank you Geralyn. Appreciate the visit. Thanks for dropping by Anthony. Appreciate it. Hahaha, I guess I’m more familiar with his “Sorry”! I just wanted for this year to be more “personal” – that I’ll be more in-touch with my inner self. Oh! I just love sorry! I said to myself, “Wow! This is one of my problems.” So I got up to start knocking things off my list before the new year started. Wow! Amazing to hear that by achieving your goals you’ve found courage! I believe that we don’t need to exhaust gargantuan efforts to effect humongous change. As I’ve expressed, change is a process. Small yet stable and consistent change is far better. 😂😂😂 Yeah I was just thinking about that. I’ll give it some time thought. So maybe I can have some examples to write in. Wishing you a wonderfully fulfilling New Year, Andrei. It has been a pleasure reading your thoughtful work and be sure to have in your space to read some more! Thank you so much, Pranitha! It’s always a pleasure having you here too 🙂 You’re such an encouragement! That’s such a heartwarming and encouraging comment there. Thank you so much! 🙂 Glad I’ve made your visit here in my blog worthwhile! Wish you all the best this 2017! It was refreshing to see this, given the demands of the calendar year ending. I thought I would say thanks, because it helped a little to look at what you are suggesting can be done, and to read the affirmative comments that accompany this post here. Your gentle transitions will be effective, I believe, and if that’s a key idea for your resolutions, I wish you all the best as you gently bring yourself to bear, with everything the New Year has to offer you. Thank you so much for your generous comment and for visiting my blog. Apparently, just like many others, I also make resolutions every turn of the year and I often find myself already exhausted, disillusioned and burdened only halfway through the year hence this post. This is my way of looking at the flip side of the stereotype. I love your point of view, I use to be the stereotype always waiting until Jan 1 to say I’m starting now!’ and it usually never lasts. like you said , i’m starting to see that making a change shouldn’t be on a schedule instead it should be when you are most ready, fueled with spontaneity then it will be truly worth while! Love this post thank you, made me think! Thank you! Glad you’ve learned something from it 😄 Yes, what’s important is that we’re getting better day by day, no matter if it’s a slow progress. Change is indeed a process. Yes, change is a process. Sometimes an excruciatingly slow one but such is life. Facing 2017 with the thought of entering this new year as a new person is garantee for failure and frustration. Instead, we ought to see it as 365 days that can bring us 365 steps closer to the change we have in mind. Change, growth, and goals are not accomplished overnight. Perseverance over time is required. This is something that has taken me both time and failed goals to discover. Again, another awesome post with thought-provoking insights you have here. I actually feel the same way, and I don’t think I’ll be making New Year’s resolutions. I think personal development should be done on a day to day basis, and we don’t have to wait for January 1st. Thanks Liz! I agree. Personal development should be pursued on a daily basis and no better timing to go for them but Today. Taking the time to read it again made a world of difference. Probably because I am often in a hurry to find something somewhere else to devote my time and energy to. Another example of how I want to be kinder to myself in 2017. TMI can lead to a number of problems for one’s self. But I won’t create a post here to discuss it. That it itself would be TMI. Thanks again for sharing this. It makes me want to go back in time to read your earlier posts. Thanks! If you don’t mind me asking, what does TMI stands for again? Great post you got there! 👍 Indeed, resolutions are our resolve to take aggressive actions on those things that we want to change, that is why it is also aptly called Re-solution. With pleasure. Every post is a reminder to self, as I know you are aware. Do keep in mind our ultimate goal to create quality content to achieve our goal of providing essential funding for children in need. The content is a bonus, but I am also creating a program I call Kidsbank, which will spring off of our Clickbank promos. I hope you’ll check it out. It offers you an income boost too, if you want to participate. I notice the same thing too. When people set their goal too high, they tend to give up easily. If take it step by step, it is easier to achieve. I appreciate your thought. In some cases, when we set our goals to high, others who depend on us to achieve them get disillusioned too. It is always good to keep the yard stick or meter stick in mind. Set the goal to reach its full length, but make it happen by setting smaller attainable goals every CM or inch along the way. When each smaller goal is achieved, we gain momentum. After a while, it may become a down hill ride to even greater goals. It’s always best to keep in mind that there are those whose lives are intertwined with our own successes and challenges. I have an idea in mind that someone from our past is along for the ride, with all of the ups and downs, happy times, sad times and the like. Maybe not literally, but a former teacher can teach us still, if we remember how to learn instead of what to know, as most good teacher foster(ed) it in us. Some better than others. This is another reason to surround ourselves with like minded people who strive for the best for all in any and every way. So we can enjoy the ride together. Agreed. So much so that to be completely honest, I’d say that when I look in a mirror, or hear an echo of my own voice at times within me that I find that I just may be that one whom you’ve described. I guess in that sense we can find the better self to listen to, and then it will be easier to interact with others of different minds. But we need to keep in mind that human communication is very tricky. Slippery slope too. Here’s why – We often say something in a certain way, or with different words than another may communicate with, but in our hearts, we aren’t that much different. It’s just in our style that differences are perceived and perceptions can be misleading. Thank you, Ms. Irfan! Glad to see you here 🙂 Wish you all the best for the coming new year! Thank you. I am glad I am still connected to WordPress. Hey, you must have a look at my website from your browser. 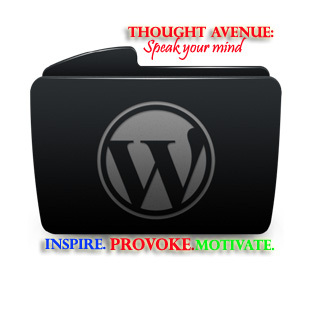 Now I have shifted my WordPress.com to WordPress.org. Glad you liked the changes. Hope to see you around in future. Have a happy day.